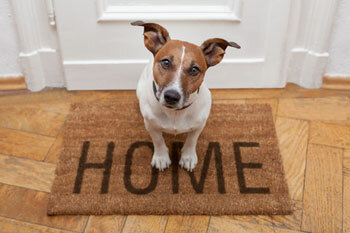 If a person is physically or psychiatrically impaired (disabled) and has an individually trained service dog to perform a major life task that the person has trouble performing for him or herself, the Fair Housing Amendments Act of 1988 requires the landlord/property manager to make a reasonable accommodation to their policies and allow the tenant to have service dog. 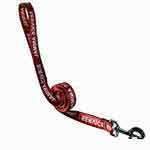 There are no exclusions, based on the breed or animal weight. That means if the property manager has a "cats only" policy, they must accept your service dog. If they have a policy that allows dogs weighing no more than 30 lbs. and your service dog weighs 75 lbs., they must make a change in the rules to accommodate you. If they accept all dogs, except pit bulls, and you have a pit bull, they must allow your pit bull to reside with you. 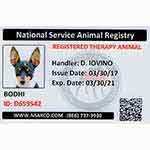 To register your service dog, click here. Although federal law (Fair Housing Act) requires landlords and property managers to accommodate your service dog, they can require a short verification form to be completed by your physician confirming your disability. 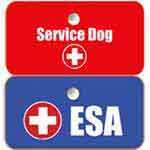 Despite how much the property manager/landlord does NOT want your service dog, federal law requires him/her to make a reasonable accommodation in the rules. If they don't, they are discriminating against a disabled person and are in violation of federal law. Click here to view an important document from the Dept. of Housing and Urban Development that addresses this issue (see the 3rd page, second column). John has been diagnosed with severe PTSD and is disabled as defined by the Fair Housing Act. His doctor prescribes John a dog to help lead John away from overly stressful situations. John asks his landlord if he can have the dog as a reasonable accommodation for his disability. His landlord says yes, but tells John he'll need to pay a $250 pet deposit and must provide proof that the animal is trained. Question: Did John's landlord correctly handle John's request under the Fair Housing Act? Answer: No, John's landlord did not handle his request correctly. The landlord cannot charge John a pet deposit for his animal because it is not a pet, but rather a trained service dog required for his psychiatric impairment. Further, the landlord cannot ask for proof that the animal is trained. Ask a tenant to pay a deposit, fee, or surcharge in exchange for having a service dog, even if they require such a practice from owners who wish to obtain pets in their dwelling. 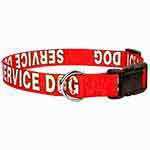 Require the service dog to wear or carry any special collar, harness, vest, emblem, or other means of identifying it as such. 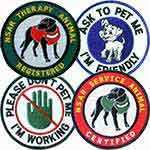 Inquire about the extent of the disability, or ask for detailed medical records for the individual requesting the service dog. Refuse to accommodate you and your animal because their insurance policy won't allow a particular breed or animal weight. They are still subject to the law. 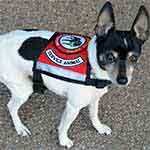 A person with a disability may, however, be charged for damages caused to the premises by their service dog. A disabled person who does not properly manage his/her unruly, destructive, aggressive, or disturbance causing dog can be legally evicted. Failure to accommodate a physically or psychiatrically impaired person is a violation of federal law and can be successfully sued AND the landlord/property manager financially penalized by the U.S. Justice Dept. because it is considered discrimination against a disabled person. Something the government takes seriously. Clients are encouraged to make sure the landlord or property manager are clearly aware of the law and consequences to help them avoid prosecution and punitive damages. Most are in violation simply because they do not know the law. A client can report the landlord/property manager to the U.S. Justice Dept. and file a complaint for discrimination. A client may sue the landlord/property manager for discrimination. You'll need to be prepared to reinforce your position and case with supplemental documentation from a physician that verifies your need for the animal. Click here for another Dept. of Housing and Urban Development document that refers to these and other issues.